Samsung Electronics and LG Electronics are going to unveil low to mid-end smartphones at CES 2018 instead of their mainstream smartphones. 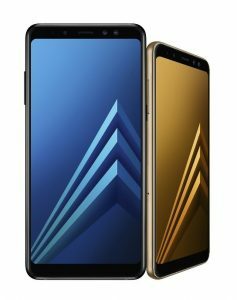 Samsung Electronics will showcase 5.6-inch Galaxy A8 and 6-inch Galaxy A8 Plus at CES 2018. 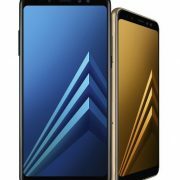 The Galaxy A8(2018) series are expected to adopt a 18: 9 ratio full screen OLED similar to Galaxy S8 design with almost zero bezel. 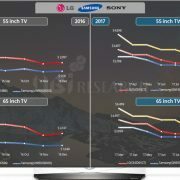 LG Electronics is going to introduce four K series, K3, K4, K8, and K10. Among them, K10 has a 5.3 inch FHD LCD and it is changed to X series in Korea and is expected to be released at the end of January. 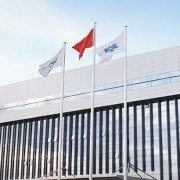 Meanwhile, there is an opinion that Samsung Electronics and LG Electronics’ plan to release low to mid-end smartphones is a bulwark against Huawei which announced the entry into the North American smartphone market. 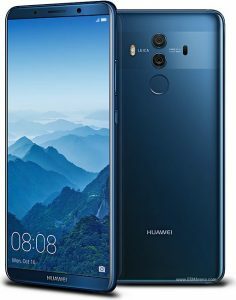 Huawei has recently partnered with AT&T to sell the Mate 10 series in the US from February 2018. Mate 10 has a 5.9 inch IPS LCD, and Mate 10 PRO has a 6-inch OLED. Huawei announced that it will aggressively advance into the North American market to become the world’s second-largest smartphone maker, outpacing Apple this year. 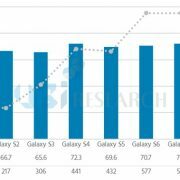 Samsung Electronics and LG Electronics intend to strengthen their low to mid-end smartphone specifications up to the premium level as well as their flagship smartphones to dominate the smartphone market until new mainstream smartphones are launched and to check other companies including Huawei. 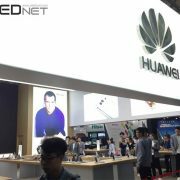 Meanwhile, more details such as the price and mobile provider of Huawei Mate 10 series to be released in North America will be disclosed at the CES 2018 exhibition.